Policy makers should support a broad array of approaches to overhauling global food systems, making them healthier and more sustainable while acknowledging that "we cannot rely on an input intensive model to increase production and that the solutions of the past have shown their limits," FAO Director-General José Graziano da Silva said in his opening remarks to the 24th session of the Committee on Agriculture (COAG). The report found that while the number of people who experience chronic hunger was reduced by 100 million over the past decade, today 805 million people still go without enough to eat on a regular basis. While in the past, efforts to feed the world focused on boosting agricultural output to produce more food, today's challenges – including climate change – demand a new approach, Graziano da Silva said. "We need to shift to more sustainable food systems – food systems that produce more, with less environmental damage – food systems that promote sustainable consumption, since nowadays we waste or lose one third to half of what we produce, " he said. Noting that hunger persists despite the fact that the planet produces enough food to feed all of humanity, Graziano da Silva said: "Producing enough food for all is a necessary, but not a sufficient condition for food security." "People are not hungry because food is not available, but because they do not have access to it," he added. Climate change has a direct bearing both on agricultural production and on people's ability to access food, the FAO chief said – and there is no one-size-fits-all solution to dealing with these challenges. 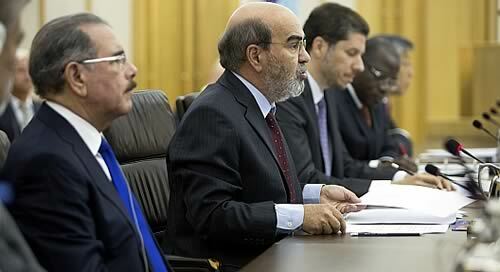 "FAO welcomes the commitments being made to address climate change. FAO can support them as part of our capacity-building projects at country level. "We are ready to work with you to successfully address the impacts of climate change on food security. This is a necessary step to the hunger free world and sustainable future we want," he added. "There are many alternatives to address climate change and ensure sustainable food security," Graziano da Silva said. "We need to keep all the doors open to face the adaptation needed to cope with the climate change and assure food for all in the near future." One valuable approach, he noted, is what is known as "climate-smart agriculture" – adjusting farming practices to make them more adaptive and resilient to environmental pressures, while at the same time decreasing farming's own impacts on the environment. Graziano da Silva welcomed the launch today at the UN Climate Summit of a new Global Alliance on Climate-Smart Agriculture, a broad coalition of stakeholders, including governments; farmers and food producers, processors and sellers; scientific and educational organizations; civil society actors; multilateral and international agencies and the private sector. The Alliance will work together to promote sustainable and equitable increases in agricultural productivity and incomes; build greater resilience of food systems and farming livelihoods; and achieve reductions or removals of greenhouse gas emissions by agriculture. Graziano da Silva also highlighted "agro-ecology" as a promising approach to moving food production onto a more sustainable path. The approach uses ecological theory to study and manage agricultural systems in order to make them both more productive and better at conserving natural resources. Last week, FAO hosted a major event on the approach at its Rome headquarters, where participants called for UN-wide initiative on agro-ecology in order to help sustainably promote food security, address climate change, and build resilience. "There are many paths to food security and sustainable development. Governments need to choose the solutions that best respond to their specific needs," Graziano da Silva said.